Sonnet’s Echo ExpressCard Pro is the fastest, least-expensive SxS™ memory card reader available. It’s also expands your computer’s connectivity by enabling the use of ExpressCard/34 adapter cards. Either way you look at it, this handy Thunderbolt adapter adds functionality to your computer it is otherwise missing. 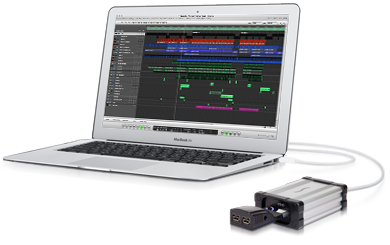 Connect the Echo ExpressCard Pro directly to your computer’s Thunderbolt or Thunderbolt 2 port(1), or at the end of a Thunderbolt device chain with a Thunderbolt cable (sold separately). The Sonnet adapter requires no software and is bus-powered—it operates off its Thunderbolt connection and there’s no need to plug in a power supply. If you’ve got a Mac with Thunderbolt 3 ports, you can use the Echo adapter by connecting an Apple® Thunderbolt 3 (USB-C) to Thunderbolt 2 Adapter between the computer and Thunderbolt cable connected to the Sonnet adapter. With the installation of Sony® drivers on your computer, the Echo ExpressCard Pro becomes an SxS card reader, supporting all generations of SxS media, including the latest SxS Pro+ E Series cards. 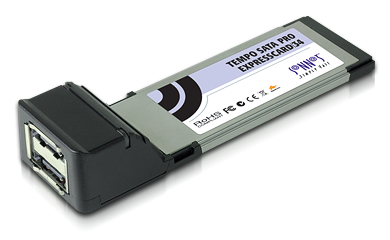 Supporting the cards’ maximum transfer speeds, this Pro card reader ingests files at up to 440 MB/s! Using the Sony ExpressCard Adapter for XQD Memory Card (QDA-EX1) adapter, you can also read XQD cards(2) with this reader. Echo ExpressCard Pro allows you to choose and add more connections to your setup using current and legacy ExpressCard/34 adapter cards. Insert the compatible ExpressCard/34 card into the Echo Pro adapter, install software for the card if necessary, and start working. 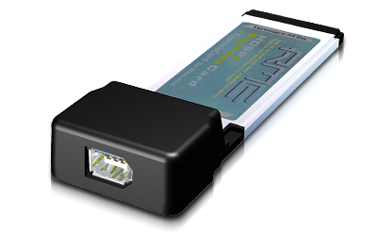 Using ExpressCard/34 cards(4), you can add FireWire, Gigabit Ethernet, USB 3.0, and eSATA ports and more! 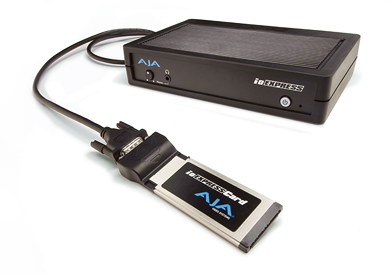 The Pro also supports specialty adapters like RME's HDSPe ExpressCard, plus interface cards for the AJA® io Express and the Matrox® MX02 family. Use under Windows requires computer with Thunderbolt 2 ports. XQD card use requires adapter (sold separately). XQD card use also requires installation of Sony driver software. ExpressCard adapter compatibility varies by operating system version. See list of compatible products for more information. The following products have been tested and are compatible with Sonnet's Echo ExpressCard Pro Thunderbolt adapter. It is important to note that compatibility under specific OS versions may not be supported; check with the product manufacturer for more information. Under Windows, the ExpressCard must be inserted before plugging in Thunderbolt. 1. When used with this Sonnet driver. 3. When used with PCIe card compatible with Thunderbolt technology. 4. Tested with RME HDSPe ExpressCard. 6. Product no longer available. 7. Requires power connection to a USB 2.0 port for operation. "Due to [Thunderbolt's] limited adoption thus far — Macs and only a few PCs support it — and its significantly higher cost compared to legacy connection options such as USB and FireWire, one of the areas Thunderbolt has yet to penetrate is memory card readers, a niche market crucial to professional photographers and videographers. 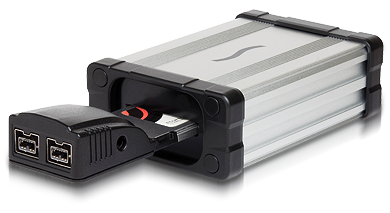 Now, even though there are no dedicated Thunderbolt memory card readers available, Sonnet Technologies has developed a partial solution in the form of its Echo ExpressCard Thunderbolt Adapter…it's by far the fastest option for importing video and images and, until prices come down and dedicated memory card readers arrive, it's the best option for professionals that need speed." "I've been excited about the possibilities of Thunderbolt on the MacBook Pro since it was announced almost a year ago. The problem has been the wait to get these new small portable but fast peripherals. In a recent fxguide rc podcast, Jason and Mike commented about the delays in seeing products actually shipping. Due to various factors, including a lack of controller chips, Thunderbolt devices have taken a while to materialize. 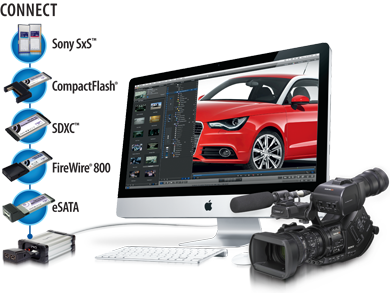 But we're starting to see some cool products come to market that are especially suited to production and post production. …As far as the Echo Express Adapter, it allows us to plug in the Sonnet Tempo SATA Express 34 and then use the ESATA connection on the RED STATION. 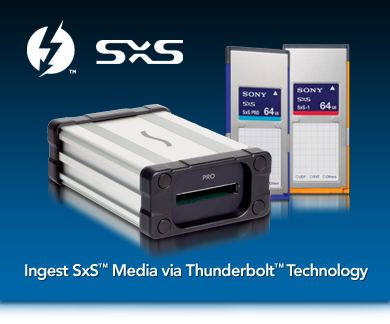 This allows us to take advantage of the vastly faster Thunderbolt pipeline as compared to FW800. How fast? An almost 2.5x speed up from what we were using before…"
To round up, I believe the Echo Thunderbolt Adapter is an elegant solution for those who want to use non-Thunderbolt devices on a Thunderbolt equipped iMac or Mac Mini. As long as you're not too rough with the device when a card is inserted, it's a fantastic piece of kit for a low price. Some consider the lack of a second Thunderbolt port to be a disadvantage. I disagree. Just hook up the device as last in the chain and you'll be fine."